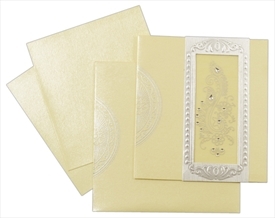 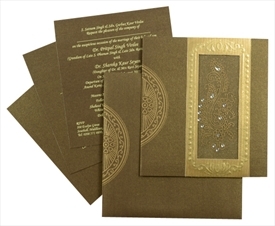 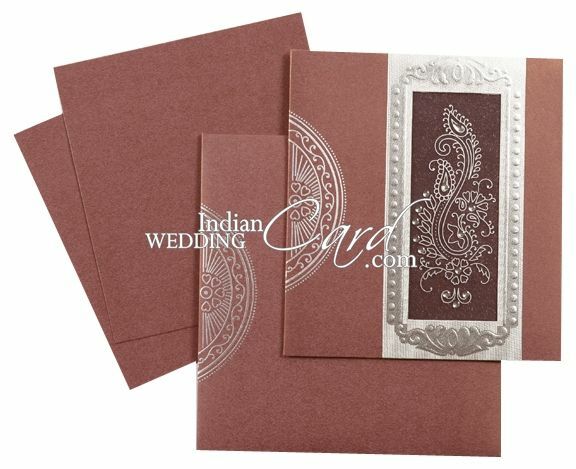 D-2601, Purple Color, Shimmery Finish Paper, Small Size Cards, Light Weight Cards, Designer Multifaith Invitations, Card with Rhinestones. 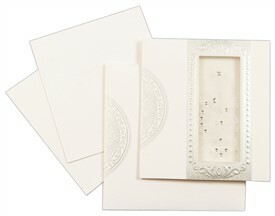 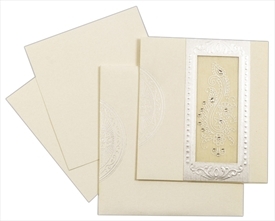 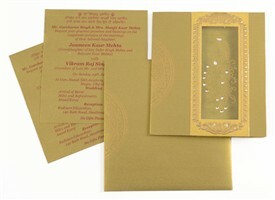 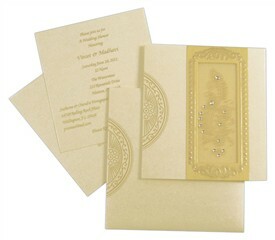 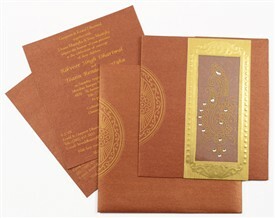 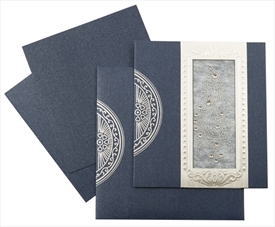 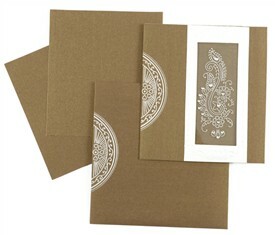 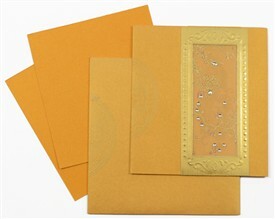 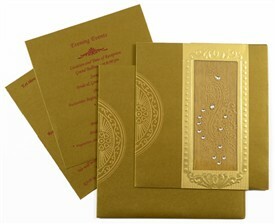 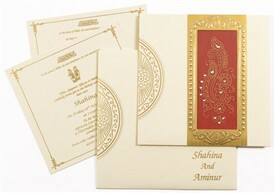 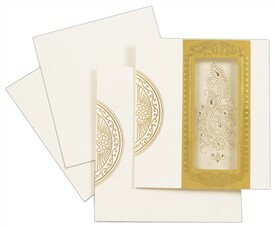 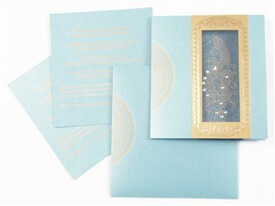 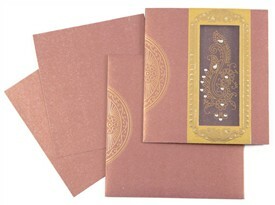 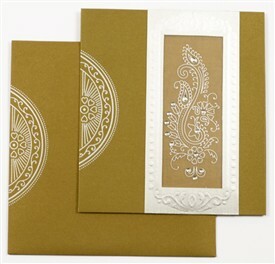 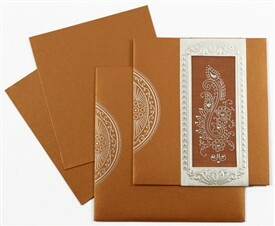 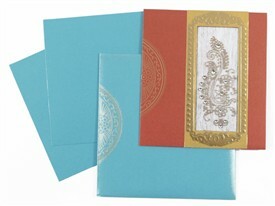 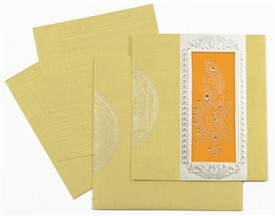 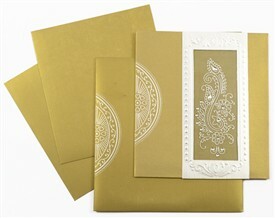 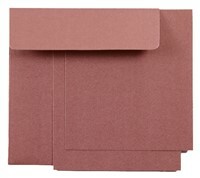 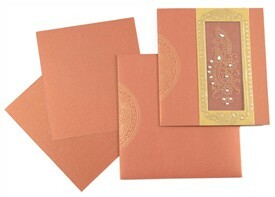 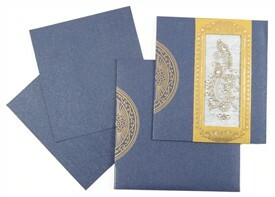 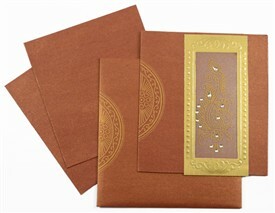 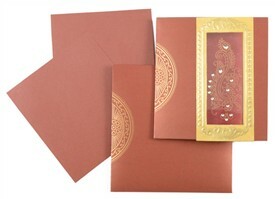 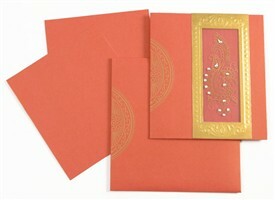 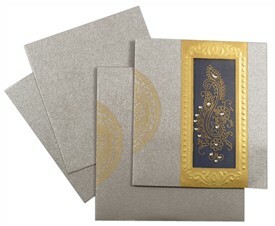 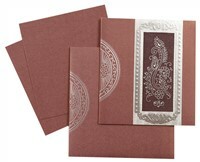 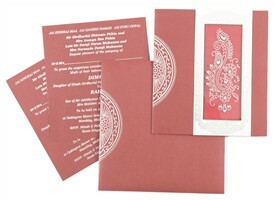 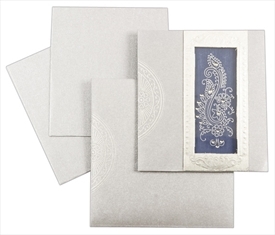 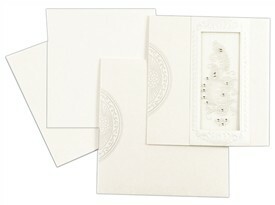 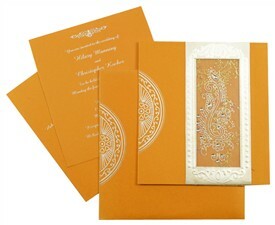 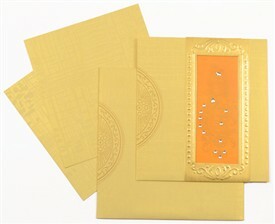 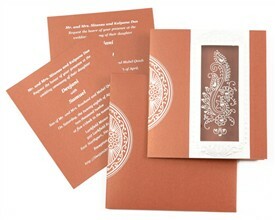 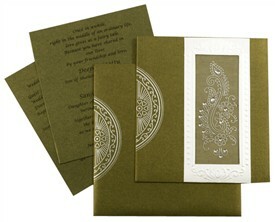 Purple shimmery finish paper (235gsm) for card, envelope and 2 inserts with pocket in matching translucent wooly paper. 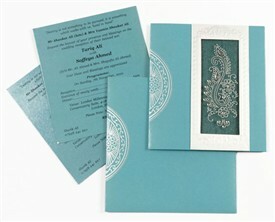 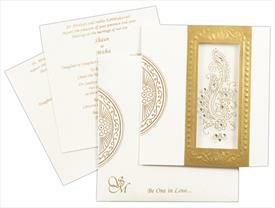 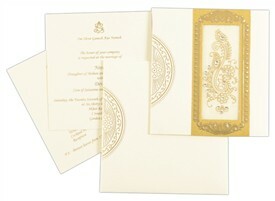 Paste-up on front in combination of silver and transparent film with printed paisley and rhinestone work.